Scores of people gathered around the barricaded Parliament Street in the heart of Delhi on Tuesday for a protest march planned by Gujarat MLA and Dalit leader Jignesh Mevani even as police denied permission for the event. “No permission has been given to anyone (to hold a rally),” Joint Commissioner of Police Ajay Chaudhary told reporters here. Mevani on Thursday said he and his supporters would march from Jantar Mantar to the Prime Minister’s Office on Tuesday. The Gujarat lawmaker slammed the police and the central government for denying permission to the protest. “An elected representative is not allowed to speak… This is extremely unfortunate. We were just going to demonstrate democratically and peacefully. 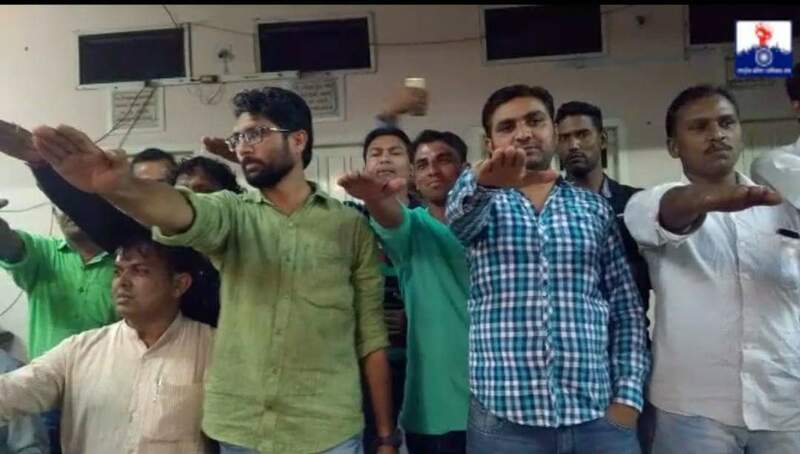 But the government is targeting us,” Mevani told reporters before arriving at the venue. According to officials, 1,500 security personnel in riot gear, with tear gas launchers and water cannons, have been deployed on Parliament Street, which connects Connaught Place with the Parliament House. Assam RTI and farmers’ rights activist Akhil Gogoi is also expected to address the rally, called to highlight issues like educational rights, unemployment as well as gender and social justice.